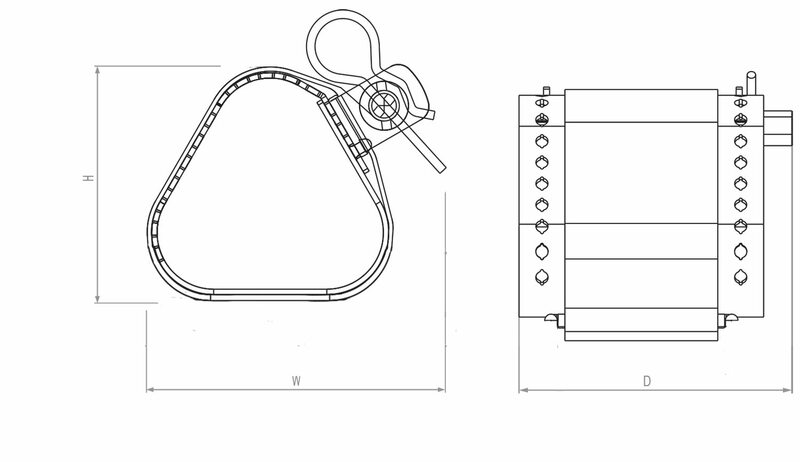 Cyclone Straps are metallic intermediate restraints consisting of a 316L stainless steel strap complete with standard liners which have been designed, constructed, and tested in accordance with the International Standard ‘cable cleats for Electrical Installations’ IEC 61914. The standard liners supplied are classified as Low Smoke & Fume (LSF), Zero Halogen (LS0H) and Phosphorus Free. Intermediate restraints are cable retaining devices that can be used in conjunction with cable cleats to hold the cables together in order to provide resistance to electromechanical forces. 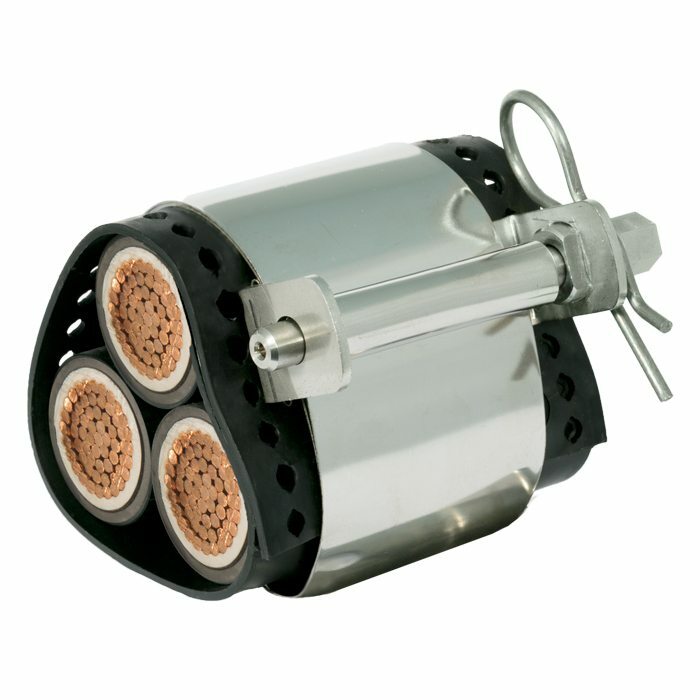 Cyclone II Intermediate restraints (2STR) are designed to wrap around the cables twice to provide resistance required for moderate short circuit faults, whilst the Cyclone III intermediate restraints (3STR) are designed to wrap around the cables three times to provide the resistance needed during high fault short circuit conditions. Using intermediate restraints between each cable cleat reduces installation time and cost when compared to alternative cleat only systems for use in trefoil or quad formations. CMP has tested the Cyclone strap range in accordance to IEC 61914 and is certified to offer these for use with any trefoil cable cleats. Standard liners are classified as Low Smoke & Fume (LSF), Zero Halogen (LS0H) and Phosphorus Free. HT liners are classified as V0 Flame Retardant Polymer.